The Broadmoor Pikes Peak International Hill Climb takes place on one of the harrowing race circuits in the world, as automobiles, motorcycles and all-terrain vehicles from around the globe race to the 14,115-foot summit of Pikes Peak. 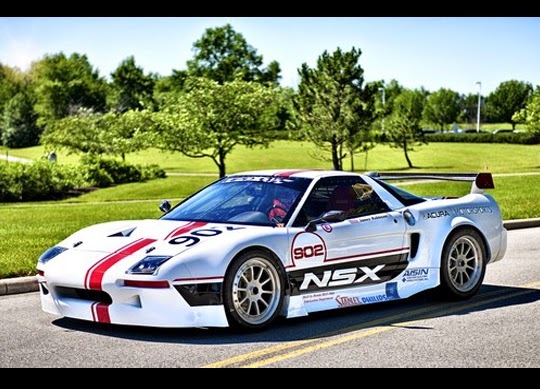 And while Honda has always focused its efforts on getting to the top of the mountain before everyone else, this year the company has taken a groundbreaking step toward making the 92nd running of the Broadmoor Pikes Peak International Hill Climb as safe as possible. Honda has worked with the American Motorcyclist Association to introduce the use of AirFence Provided by RoadRacing World Action Fund technology at several key corners of the race course. The use of the innovative safety fencing marks the first time that a Pikes Peak competitor has worked with a sanctioning body to improve overall safety at the event. "Honda is proud to have worked with the AMA and event organizers to increase safety for the competitors of the Pikes Peak International Hill Climb," said Senior Vice President and General Manager of Honda Division, Jeff Conrad. "Honda has a long and successful history at Pikes Peak, and helping to increase the safety on the race course allows our drivers and riders to focus on getting to the top of the mountain as quickly as possible!" AirFence consists of a system of connected air-filled bladders, serving as a soft wall safety barrier to protect motorcycle racers from direct contact with solid objects. The RoadRacing World Action Fund, an organization dedicated to improving the safety for motorcycle racing, has provided this technology to circuits across North America through an on-going research and fund raising program. Making the course safer will, of course, allow competitors to run faster, which is something Honda is more than accustomed to at Pikes Peak. Honda-powered vehicles have taken at least one class victory at the legendary event in each of the last 12 years, and have captured 44 wins overall. Looking to extend that streak, American Honda Motor Co., Inc., Honda Performance Development (HPD) and Honda R&D have joined forces to field six vehicles for Honda associates in this year's race. In addition, Honda is providing power for 2013 overall runner-up Romain Dumas' Norma M20 'RD Limited' in his chase for the overall title. The cooperative effort between Honda companies will see Honda associates racing a diverse lineup of vehicles in the event, ranging from the Fit EV to a first-generation NSX, along with a Honda CBR600RR motorcycle and a Honda TRX450 All-Terrain Vehicle. Ten other competitors will compete on Honda motorcycles in the event's various classes, riding Honda 250, 450, 600 and 1000cc machines. Extending its event support beyond the race track, Honda returns as the Partnering Sponsor for the 2014 event, Honda Power Sports will be the official ATV/UTV of the event and Honda Power Equipment will provide electricity and light to the pits and staging areas, through the use of Honda generators. The all-new 2015 Honda Fit is launching with an integrated advertising campaign themed "Fit for You," with TV spots starring comedian Nick Thune. Other components of the campaign will roll out in conjunction with the TV spots, including digital and social media activations and a multicultural campaign extension featuring award-winning drummer Questlove. Overall, the campaign aims to have cross-generational appeal while specifically targeting Gen-Y customers with additional integrated paid media placements in music and gaming. Highlighted across the entire 2015 Fit marketing campaign is the Fit's unrivaled space and versatility and class-above technology features—including standard Bluetooth® HandsFreeLink®i, USB connectivity, auto on-off headlights and a Multi-View Rearview Camera—demonstrating that Fit is the perfect car for everyone and everything. The "Fit for You" theme taps into the resourcefulness of Gen Y, showcasing a unique cast of characters and the ability of the Fit to handle whatever life throws at them. The hyper-stylized and humorous national TV spots feature Nick Thune, as host, answering questions and demonstrating the features of the new Fit. The first 30-second spots, "Biker, Fortune, Cup, Meerkat" (http://youtu.be/-Z-vAqhYjfs) and "Synth and Seattleites" (http://youtu.be/rC-zopOGVOI ) begin airing next week along with three 15-second online versions. Two additional TV spots will roll out in the coming weeks. Each spot will tout the 2015 Fit's standout qualities including the Magic Seat®, which offers multiple seating configurations for added versatility and cargo capacity, standard technology features like a rearview camera and available "swipe, pinch and zoom" navigation integrated into the Display Audio touchscreen. 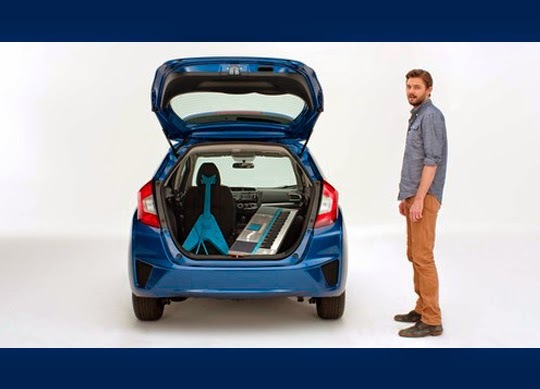 "The campaign takes a typical product demonstration and gives it an unexpected twist to show how the 2015 Honda Fit answers the needs of the customer in a very direct yet humorous way," said Jeff Conrad, Honda division senior vice president and general manager. 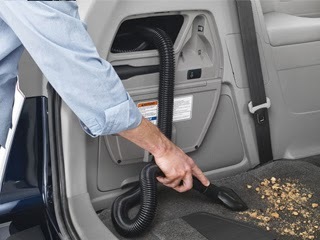 "The campaign leverages the Fit's unique combination of space and versatility plus innovative technology and class-leading fuel efficiency to clearly show that the 2015 Honda Fit is the leader of the subcompact class." Two unique multicultural campaigns also will roll out in conjunction with the general market Fit launch, each showcasing the class-leading versatility of the new Fit. To connect with African-American consumers, the "Meant For You, Fit For You" campaign includes a TV spot featuring award-winning drummer, Questlove. The drummer prompts and inspires viewers by asking "What's your fit?" with culturally and contextually relevant situations like an indie artist in need of space for musical gear and parents desiring safety and comfort for their children. In each situation, the Fit demonstrates how it is equipped to deliver the best solution for their unique lifestyle and life stage needs. Additionally, the Spanish and English language #UnBuenFit (A Good Fit) campaign will roll out, targeting U.S. Hispanic millennials. The TV spot features Hispanic comedian Felipe Esparza and highlights how the Fit aligns with diverse Hispanic millennial lifestyles in a fun and youthful manner. The campaign showcases how the Honda Fit is "Un Buen Fit" for their lives and how the vehicle is just as versatile and resourceful as they are. Following on the heels of the successful gaming integration of the Civic with the Forza Motorsports franchise, Honda is joining Machinima to promote the upcoming Street Fighter game release, Ultra Street Fighter IV. The campaign launched in late May with a sponsorship of Machinima's highly anticipated live-action series Street Fighter: Assassin's Fist. The 2015 Honda Fit also is integrated in a series of Bonus Stage videos that feature the vehicle in iconic scenes from the popular Street Fighter franchise. Additionally, the sweepstakes promoting a vehicle giveaway provides another touch point to reach a highly engaged gaming audience. To extend the reach to the Gen-Y audience, the Fit campaign will incorporate a mix of media with placements on network and cable TV, online video, gaming and mobile. Digital activations will launch with custom-built iAds starting today and will continue to ramp up throughout the summer, leading into a larger media push in the fall. The second phase will kick off with home-page takeovers on Yahoo! and YouTube, along with a presence on primetime, cable TV and a variety of sports programming. Other notable digital support will help to highlight the Fit's versatility, which includes an "On The Road" video series on Thought Catalog, custom rich media units on Yelp and a Honda-owned channel on Buzzfeed featuring tips on resourcefulness. Honda offers a complete lineup of fuel-efficient cars and trucks through a network of more than 1,000 dealerships in the United States. Honda has more than 30 years of experience producing automobiles in the region, which began with the Accord in Marysville, Ohio, in November 1982. With production of nearly 27 million vehicles in North America through 2013, Honda currently operates 16 major manufacturing facilities in North America, producing a wide range of Honda automobiles, all-terrain vehicles, power equipment products, engines and transmissions and the HondaJet light jet, using domestic and globally sourced parts. 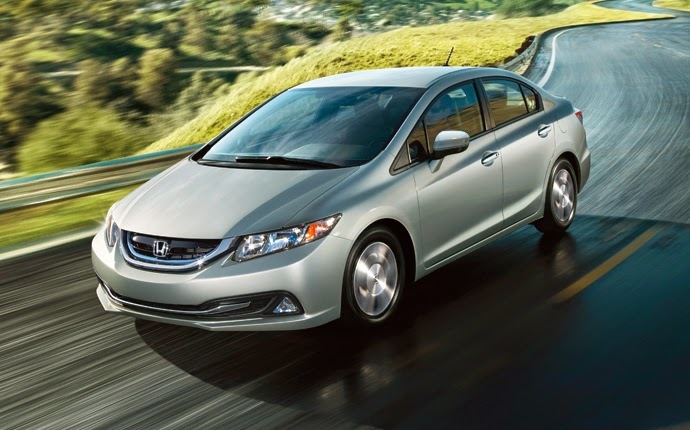 The 2015 Fit is being manufactured for the first time in North America at Honda's eighth and newest auto plant, in Celaya, Mexico. With the introduction of the new manufacturing facility in Mexico, Honda's North American automobile production facilities has an annual capacity of 1.92 million units, with the capability to manufacture upwards of 95 percent of the automobiles sold in America and across all product segments, from subcompacts to light truck models. The 2014 Honda Accord (www.automobiles.honda.com/Accord) and 2014 Odyssey minivan (www.automobiles.honda.com/Odyssey) have both been named to the 10 Best Family Cars list compiled by the experts at Parents magazine and Edmunds.com. 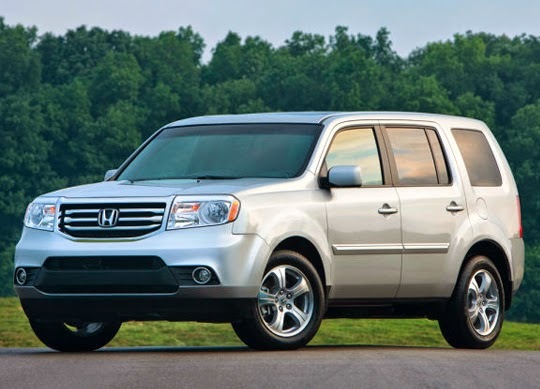 The two family-friendly Honda vehicles – each earning the highest possible rating of TOP SAFETY PICK+ from the Insurance Institute for Highway Safety (IIHS) - were selected out of hundreds of models for excelling in the key areas of safety, convenience features, performance and value. 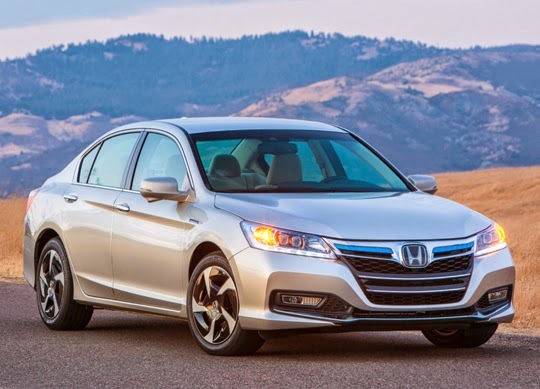 "The Accord and Odyssey lead their segments in the areas that matter most to the family buyer – safety ratings, fuel efficiency, value and innovative features," said Jeff Conrad, Honda division senior vice president and general manager. "As the top vehicles in their segments in sales to individual buyers, we know families appreciate the hard work we've put into making these vehicles value and performance leaders." The Odyssey was also recognized as one of the best minivans for families on the 10 Best Family Cars annual list. As the top-selling minivan to individual retail car buyers in the U.S.2, the Odyssey continues to lead its class in the areas that families look for when selecting a vehicle like fuel efficiency, safety, interior spaciousness and driving experience. The Odyssey was the only minivan to earn the highest possible rating of IIHS TOP SAFETY PICK+3, and the Odyssey has earned the best possible overall safety rating from NHTSA with a 5-Star Overall Vehicle Score1. Additionally, the Odyssey is rated at a remarkable 28 mpg4 highway, the highest EPA fuel economy rating of any eight-passenger minivan. For more information about Parents magazine and Edmunds.com's list of the 10 Best Family Cars for 2014, please visit www.parents.com and www.edmunds.com. The full list will be featured in the July 2014 issue of Parents magazine. Honda offers a complete lineup of cars and trucks through a network of more than 1,000 dealerships in the United States. 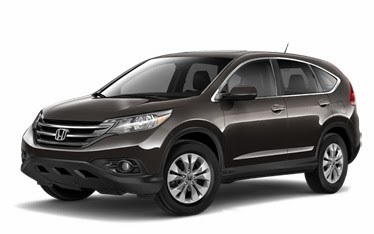 In 2014, Honda celebrated its 20 millionth vehicle produced in the U.S., using domestic and globally sourced parts. Honda currently operates 15 major manufacturing facilities in North America, producing a wide range of Honda automobiles, all-terrain vehicles, power equipment products, engines and transmissions. 1Government 5-Star Safety Ratings are part of NHTSA's New Car Assessment Program (www.SaferCar.gov). Model tested with standard side airbags (SABs). 2Based on IHS Automotive, Polk new-vehicle retail registration data through the end of December 2013. 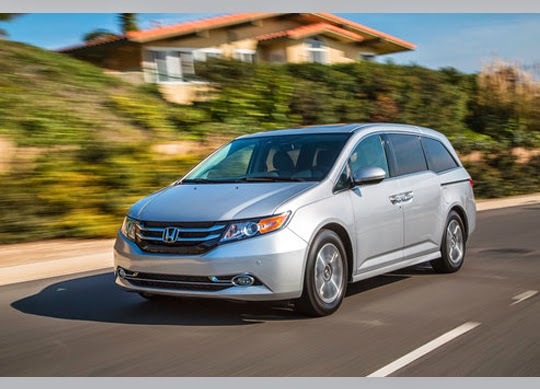 3The Odyssey was the only minivan to qualify as a 2014 IIHS TOP SAFETY PICK+ as of March 1, 2014 and the Odyssey has earned the best possible overall safety rating from NHTSA with a 5-Star Overall Vehicle Score. 4Based on 2014 EPA mileage ratings. Use for comparison purposes only. Your actual mileage will vary depending on how you drive and maintain your vehicle. It’s one thing to be the valedictorian of a tiny school in the middle of the country with 26 students in the graduating class, but it’s another thing entirely to earn top marks at the largest and most esteemed universities in the nation. In both cases, congratulations, you’re the valedictorian, but there’s no question that one carries more weight than the other. The 2014 Honda Civic Tour is taking a new turn in its 13th year – with not just one, but three successive tours and three distinct genres of music, as well as becoming a significant pillar of the new Honda Stage music platform. Alternative rock bands Grouplove and Portugal. The Man will co-headline the first 2014 Honda Civic Tour this summer with Tokyo Police Club and Typhoon supporting on various dates kicking off on August 10 in Seattle, WA. The second of the three tours will begin in the fall, with Brooklyn-based pop/rock band American Authors on October 1. Additionally, Latin DJ trio 3BallMTY will headline the final tour of the series starting mid-November. "I would say that this is the dream tour. Honda is really invested in all art forms and connecting music with fans," said Hannah Hooper of Grouplove. The Honda Civic Tour will uphold tradition, as headlining bands will once again design their very own custom Honda Civic, which has always been a highlight of the Honda Civic Tour. Audiences are sure to be awed as headliners Grouplove and Portugal. The Man collaborate on an original design. Additionally, American Authors and 3BallMTY will each showcase their creative Civic designs later this year. Honda's commitment to music runs deep, with a 13 year history presenting the popular Honda Civic Tour, as well as hosting Honda Stages at premier U.S. music festivals including Governors Ball, Music Midtown and Austin City Limits Music Festival. Honda's passion for music content curation and delivering unique experiences to music enthusiasts has led to the automaker's development of the new Honda Stage platform. The Honda Stage program provides music fans one-of-a-kind music experiences through live performances and digital content: www.YouTube.com/HondaStage. Under the Honda Stage program, American Honda brings together an unprecedented group of entertainment and technology leaders including Clear Channel (iHeartRadio), Live Nation, REVOLT, Vevo and YouTube to produce and distribute some of the best original, high-quality music content available today, through dozens of live events and exclusive online content. The success of the Honda Civic Tour makes it a natural fit as a pillar of the Honda Stage program. One of the best-selling compact cars in the United States, the Civic features a lineup of six distinct models: the conventional gasoline-powered Civic Sedan and Civic Coupe, two high-performance Civic Si models, the gasoline-electric Civic Hybrid, the Civic Natural Gas and Civic HF high fuel economy model. The Civic lineup embodies the Honda brand values of 'clean, safe and fun' with the Civic HF achieving an EPA-estimated fuel economy rating of 41 mpg on the highway. 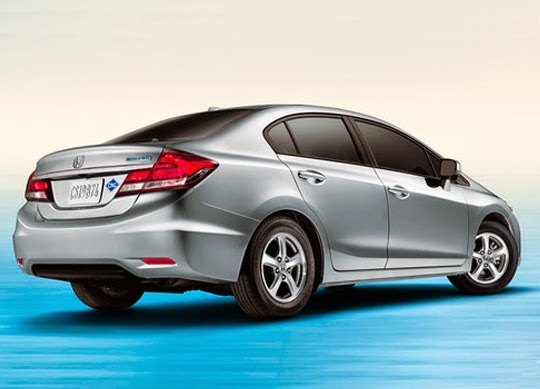 The Civic Hybrid's EPA-estimated fuel economy rating is 44/47/45 city/highway/combined. The Civic Sedan has earned top safety ratings from NHTSA and was the first small car to earn a 'TOP SAFETY PICK+' designation from IIHS. Now in its ninth generation, the Civic remains one of the most fun-to-drive compact cars on the road today. The Civic Sedan starts at a suggested retail price (MSRP) of $18,390 and is available at Honda dealerships nationwide. For high-resolution photos, broadcast quality video and media information of the entire 2014 Civic lineup, please visit www.hondanews.com. Building on its deep foundation in bringing music to fans, American Honda has brought together an unprecedented group of entertainment and technology leaders, including Live Nation, Clear Channel (iHeart Radio), Revolt, YouTube and Vevo to produce and distribute some of the best original, high-quality music content available under the new Honda Stage name, through dozens of live events and exclusive online content. 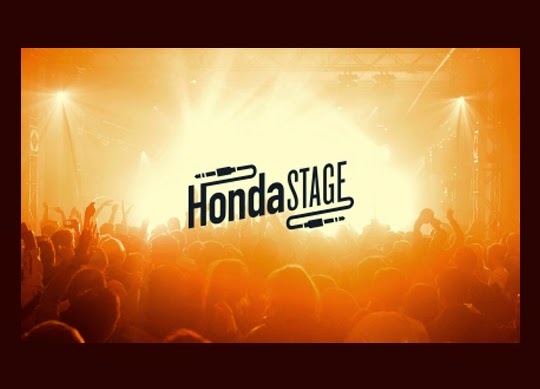 Honda Stage will offer music fans access to custom live and online music programming and performances, behind the scenes content, artist interviews and more at www.YouTube.com/HondaStage. With the launch of this channel, Honda becomes a major music curator, as YouTube is the largest distributor or music content and the number 1 environment for music viewing. Honda offers a unique lineup of cars and trucks through a network of more than 1,000 dealerships in the United States. In 2014, Honda celebrated it's 20 millionth vehicle produced in the U.S., using domestic and globally sourced parts. Honda currently operates 16 major manufacturing facilities in North America, producing a wide range of automobiles, all-terrain vehicles, power equipment products, engines and transmissions, and the HondaJet light jet. For more information, go to www.HondaCivicTour.com and www.HondaStage.Honda.com and visit Honda Stage on YouTube at: www.YouTube.com/HondaStage. 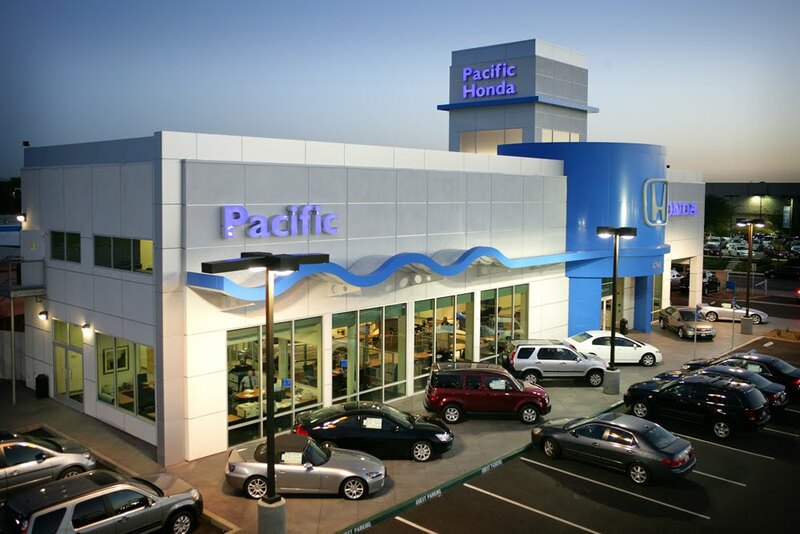 We here at Pacific Honda have found that it’s not uncommon to hear stories about patrons’ experiences with Honda Civic models that have a ton of miles on them. To hear about a 200,000-mile Civic isn’t an entirely surprising experience, and we’ve even had people come in and brag about vehicles pushing 300,000 miles. 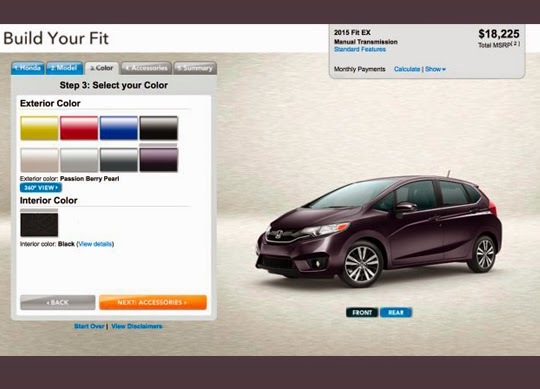 Honda has released the online configurator for the all-new, 2015 Fit – a vehicle that was scheduled to launch earlier, but was delayed until this month. As is the case with the rest of the Japanese manufacturer's builders, there's not a lot to this one – pick a trim, transmission (where applicable) and a color, and you're all set. The 2015 Fit will come in three grades, with the base LX offering up both manual and continuously variable transmission, air conditioning, Bluetooth, USB connectivity, a 60/40 split-rear seat and a four-speaker stereo, among lesser items. The LX starts at $15,525, not counting a $790 destination charge. Next up is the $17,435 EX, which adds 16-inch wheels, push-button start and a seven-inch display audio system complete with Pandora and text-message functionality. Like the LX, the EX can be had with either a manual or CVT, with the two-pedal setup commanding an $800 premium, regardless of trim. The top-of-the-line EX-L, however, cannot be had with a manual. Getting the king of the Fit line will lock you into the CVT, although it adds an assortment of cow-based products, in the form of heated leather seats and a leather-wrapped steering wheel. Heated wing mirrors are also included in the $19,800 starting price. Navigation is an optional goodie, which tacks $1,000 onto the price and is only available on the EX-L. HD Radio and satellite radio are also included on the EX-L.
As a brand, Honda has always prided itself on engineering and manufacturing automobiles that the common consumer would consider “practical.” While there is a model in our lineup for pretty much every automotive sensibility, they all have in common the reliability that has attached itself to these beloved everyday vehicles for decades. They are efficient, spacious and safe, which is why so many of our regular customers have remained so pleased with them. The Japanese government is really paving the way for hydrogen fuel cell technology on its roads. Japan's Ministry of Economy, Trade, and Industry is changing regulations on fuel tanks to make hydrogen cars more appealing to drivers, which should help put the country ahead of others in the race to develop a viable H2 fleet. Japan is raising the allowed pressure of hydrogen tanks from 700 atmospheres to 875, which has the effect of increasing driving range by 20 percent. This move puts the country in line with others with high-pressure fueling regulations. Japan is also in talks with the United Nations and the European Union to streamline inspection rules to make it easier to export Japan's fuel-cell vehicles. 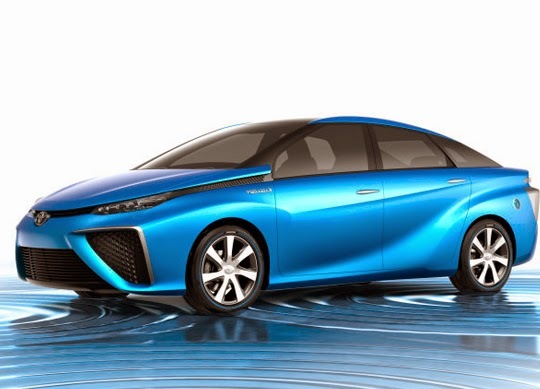 Toyota premiered its hydrogen-powered FCV Concept at the Tokyo Motor Show last year and plans to release a production version as early as next year. Honda also plans to build its own fuel-cell cars for 2015, and it debuted its FCEV Concept at last year's Los Angeles Auto Show. Nissan is sending mixed messages on hydrogen, both questioning the availability of a refueling infrastructure and working on developing the vehicles. In Japan, a relatively small country, increasing the range of fuel-cell vehicles makes creating a usable infrastructure a bit less daunting. Will hydrogen-fueled electric cars see the same sort of success as Toyota's Prius hybrid or battery-powered EVs? Only time will tell, but we can keep our fingers crossed that it will, and that the popularity spills over beyond Asia.